Aimed to develop the 'whole' child whilst ensuring they have fun each day. At Little People Montessori Nurseries we plan a comprehensive curriculum for our children using the Early Years Foundation Stage, but compliment it with our preferred method of education – the Montessori approach. Maria Montessori believed children under the age of six absorb knowledge spontaneously, without effort and have an intense desire to become as independent as possible by perfecting all the physical, mental and social skills that will form their personality. 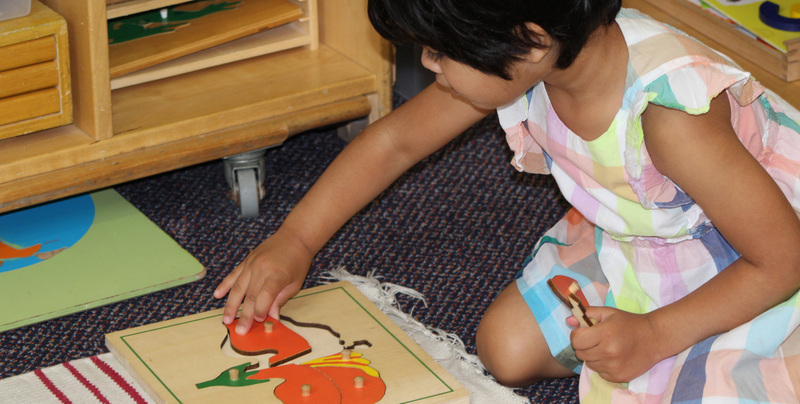 The prepared environment of our Montessori room is designed to support these aspects of development and allows our children the freedom of action to grow as individuals. The aim is to encourage all children to use their inner resources to the full; to become independent self-motivated learners who can work and play harmoniously with their peers. Children have the opportunity to learn through their own individual activity, giving them the freedom of choice to access equipment for themselves. We always encourage the concepts of kindness, courtesy and respect for others, in the school environment and the wider world. Language Development - Every day the children have the opportunity to express themselves and extend their vocabulary through conversations, songs, listening to stories and circle time. This is essential for the development of social skills and future academic work. Children learn the phonetic sound of the letters and are encouraged to build their own words before reading the words of others. Our book corners and our book home loan gives the children the opportunity and encouragement to become familiar with books and their uses.The children also take part in French and Spanish lessons throughout the week. Mathematics - The Montessori designed materials are used to introduce the concept of Maths. The children learn quantities and matching symbols, always learning from what they know, and can see to the abstract, developing a natural understanding of basic mathematical concepts. The children become familiar with the basis of early maths which include sorting, matching, ordering, sequencing and counting activities. Practical Life Skills - provides children the basic skills of everyday life, this is accomplished through meaningful activities, using real life objects to practice and acquire skills of daily living. These exercises help develop concentration and co-ordination of movement, together with patience, determination, and care of one self and the environment around us. We also stress the importance of courtesy, good manners and the consideration of others. Sensorial Activities - materials are introduce to help refine the senses, each piece of equipment contains one isolated quality such as size, sound, smell and texture. The materials help to recognise differences and similarities. Shape defines the characteristics of written letters and numerals so we introduce geometric shapes at an early age to help with shape recognition and to extend vocabulary. Cultural - We aim to give children an awareness of themselves as individuals within their own environment and the greater environment. To assist the child in his quest for knowledge we include activities involving Geography, History, Science, Cookery and Biology. We want children to respect and take responsibility of the natural world which includes learning about animals, insects and plant life. Within our environment we support children to develop their confidence, independence and self-respect. They are encouraged to work independently but also as part of a group, sharing and working with other children and adults. Through activities, conversation and practical example children learn to express their own feelings and have respect for the feelings of others. Creative - We encourage the children’s artistic abilities by providing a wide range of craft activities. There are many opportunities for the children to take part in role play, singing songs and rhymes, musical instruments are played. We also have a weekly ballet and yoga classes which develops balance, co-ordination and expression. Assessment of children is based on observations and recording of children’s progress supported by samples of their work and photographs observing their engagement with activities within the setting both inside and outside. These observations describe the child’s unique learning and are kept in the ‘This is Me’ folder which is a collection of ongoing evidence and the basis for the assessment of individual children’s learning and progress within the setting. Evaluated observations help practitioners understand the child’s achievements, interests and learning styles and will provide the next steps for planning for the individual child. At our Parent’s Evenings your child’s Key-worker /Teacher will discuss your child’s work with you and show you the work they have done so far with your child. This is a valuable meeting to discuss your child’s progress so far in the nursery and their next opportunities to learn. This folder is taken home when your child leaves as a lovely memento of their time at Little People Montessori Nurseries. 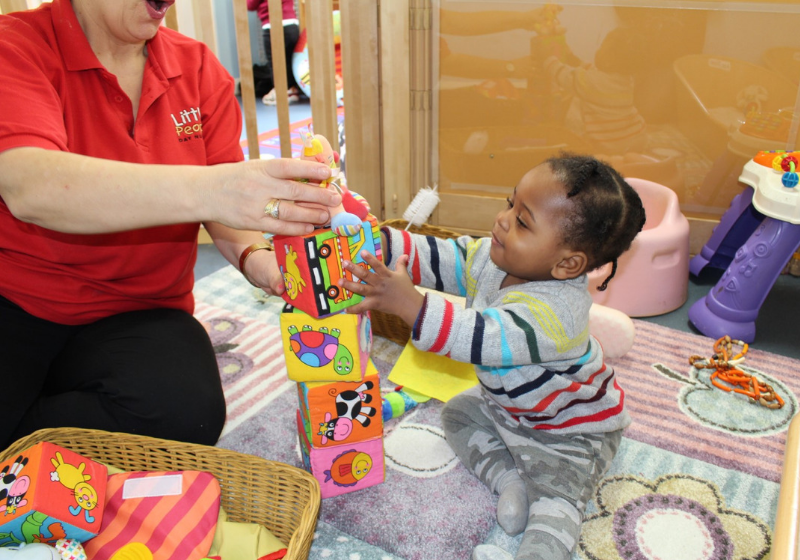 The Early Years Foundation Stage sets the standards that all early years providers must meet to ensure that children learn and develop well and are kept healthy and safe. It promotes teaching and learning to ensure children’s school readiness. Three areas are important for children’s curiosity and enthusiasm for learning, building their capacity to learn and form relationships with other children and adults. At Little People Montessori Nurseries we plan a suitable curriculum for our children using the Early Years Foundation Stage, but compliment this with our preferred method of education – the Montessori approach.